What are the minimum system requirements for progeCAD? (WARNING: The installation on virtual machines is not certificated). On what operating systems can NLM Server be installed? Follow the instruction of the Registration Wizard which is automatically displayed starting the registration procedure. If you encounter any problem, please get in touch with the Customer Service. If you received an iCARE Activation Code, visit the iCARE Activation page. If you received an Upgrade Code, visit the Upgrade Activation page. IntelliCAD is a product developed by the ITC Consortium which comprises different companies from around the world. This guarantees the necessary support in case of any problems which may arise handling such a vast software project. Every company participating as a trading member in the ITC Consortium can distribute products based on IntelliCAD technology. This kind of co-operation guarantees the basic functionality and compatibility. To the basic characteristics of IntelliCAD, progeCAD adds a great many of improvements and additional functions which make progeCAD the best IntelliCAD version currently distributed on the market. progeCAD is a CAD program sold at a fraction of the cost of rival products; how can its characteristics compare? The best way to assess progeCAD's actual features is to try the product. It is the easiest way to understand whether the declared characteristics correspond to reality. Please go to the Download webpage to request a Trial Version. First check the Technical section on this FAQ page. If you cannot find an answer to your question, submit a ticket in ProgeSOFT Support Center on the Support page of our website. First check the Orders & Sales section on this FAQ page. If you cannot find an answer to your question, submit your question through our Contact form. Check the Technical section on this FAQ page. If you cannot find an answer to your question, submit a Ticket through ProgeSOFT Support Center on the Support page of our website. Starting from progeCAD 2019 the software integrates the new CUI Editor which has changed the standard progeCAD customization procedure for Menu loading and ALIAS management. As a result, some progeCAD users remain perplexed by not being able to perform their standard routines. 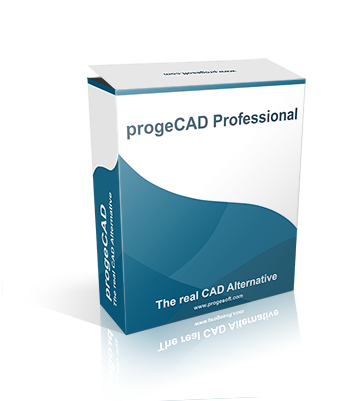 Uninstall progeCAD ® from the old PC through Control Panel or progeCAD Centre. Proceed to the new PC and register the program using the same serial number. Proceed to the new PC and register the program using the same serial number. Contact the progeSOFT office to communicate the reason of the software re-installation to be in compliance with the licensing agreement. Opening a drawing made in AutoCAD the text is not properly aligned. How can I solve it? This depends on the font. The opened drawing makes use of AutoCAD fonts. Anyone in possession of a regular AutoCAD license can also use the fonts supplied with AutoCAD in the progeCAD program along with the numerous fonts already available in progeCAD. Just open the Tools > Options menu and access the Path/File tab > Support paths sub-menu. Double click Fonts and add the fonts installation path. For ex. : C:\Program Files\AutoCAD R14\Fonts. For the 2000 version of AutoCAD the simplex font can be found in Support directory. You can add this path too (For ex. : C:\AutoCAD LT 2000\Fonts;C:\AutoCAD LT 2000\Support) or copy this font to the folder Fonts of AutoCAD 2000. This guarantees a perfect display of any project using the simplex.shx font. Can I use AutoCAD's fonts (the .SHX files) with progeCAD? Anyone who owns a regular AutoCAD license can use, besides the numerous fonts available with progeCAD, also the fonts supplied with AutoCAD. To do this, open the Tools menu, under Options in Path/File, Support paths sub-menu, in Fonts add the fonts' installation path. For ex. : C:\Program Files\AutoCAD R14\Fonts. For the 2000 version of AutoCAD the simplex font can be found Support directory. You can add this path too (For ex. : C:\AutoCAD LT 2000\Fonts;C:\AutoCAD LT 2000\Support) or copy this font to the folder Fonts of AutoCAD 2000. This guarantees a perfect display of any project using the simplex.shx font. The fonts used for the drawing's text depend on the text's style. If for example drawings are shared with other AutoCAD users, a font mapping table can be used in order to specify the alternative font progeCAD must use for the text originally created in a different font. progeCAD's original setting uses icad.fmp; if no substitution of font is needed, delete or rename the ICAD.FMP file. Is it possible to use AutoCAD's fonts (the .SHX files) with progeCAD? Yes,progeCAD is compatible with AutoCAD fonts file .shx. To do this, open the "Options" menu and select the "File Paths" tab; then add the fonts' installation path under "fonts". You also must open the font mapping file, icad.fmp and either delete or comment out the line that makes a font substitution for your AutoCAD font. For example, suppose you have simplex.shx located at C:\ACADFONT and you click on Tools on the menu bar and then Options to identify C:\ACADFONT as an alternate font directory. But when you open a drawing that uses simplex.shx, the program continues to substitute ic-simplex.shx. Then the next time you launch the program it will no longer substitute ic-simplex.shx for simplex.shx. The font used in the drawing is not present on the PC on which progeCAD® is installed. Font installation is required. Make sure that a font search path is present among those displayed in the menu Tools -> Options -> Paths/File -> Support paths -> Fonts. If it is not, add the character ";" after the queued existing routes and then the font path. Verify that the font replacement is not active. Open with a text editor (e.g. "Notepad" Windows) the file "icad.fmp" that is situated in Start menu of Windows -> All Programs -> progeCAD 2XXX Pro ENG -> Utility -> progeCAD 20XX Professional Center -> Settings -> User Support Folder. The font not properly displayed is "romans". After verifying the installation of the font on your system and therefore the presence of the full path among those displayed in the fonts location (Tools -> Options -> Paths/File -> Support paths -> Fonts), open the file "icad.fmp" and remove the row with the following content: "romans; ic-romans. shx. " This will avoid the replacement of fonts. If the font used in the drawing is not present on your PC, install it to see your drawing properly. If you cannot do that, opening the drawing with progeCAD a dialog box for fonts substitution shows up. Choose the font compatible with the one to replace. this file specifies the language to which the installed font belongs. "Name of the font with"; " language reference number"
While using the program, the pointer leaves a trail on the drawing area. How can I fix it? To fix the problem, it is necessary to disable the Hardware Acceleration. To do this, access the Display section of the progeCAD Options dialog ( in the Tools menu > Option) and uncheck Hardware Acceleration. To set the Object Snaps, position the cursor over the Esnap icon on the status bar in the bottom right corner of progeCAD and press the mouse right button. The required snaps should then be selected from the control window. The FlyOver button can be used for activating the settings of FlyOver Snaps. This problem occurs when external references (Xref) are used and its re-occurrence can be erratic. It relates to all OLE objects that can be inserted (images, Excel spreadsheets, Word documents etc.). If you have this problem, you just need to delete the .vbi extension file with the same name of your drawing found in the same directory as the .dwg file. I cannot open a drawing. 01. An error message is displayed and the drawing is not opened. 02. An error message is not displayed but the drawing won't open. 03. The loading of a drawing started but after its completion or before it progeCAD® goes wrong. -- From the File > Utility menu choose "Recover"
-- After the procedure it is necessary to save the drawing for the operation to take effect on it. It is recommended that you use the "Save as" command assigning another name to the recovered file to avoid losing any crucial information that was not recovered. When open a drawing, the content of the parts are different. -- Click on the button "LWT" in the status bar of progeCAD® to enable or disable the display of line weight. -- From the Tools menu, choose " Drawing Settings" . -- Under the "Display", under the label "Change settings:" choose from: "lineweight." -- Exit the form confirming with the button "Ok"
Copy and Paste commands do not work. I cannot copy objects from one drawing to another. The reason could be that the drawing from which you are copying your entities has been closed. -- Make sure the file from which you are copying your entities is still open. -- Open or switch to the destination drawing keeping the source drawing open, go to the Edit menu and choose the "Paste" or "Paste to original coordinate" commands. The right way to copy is always by using the "Copy" command from the Edit menu. The "LTSCALE" variable must have been set to a different value. Check the value of the "LTSCALE" variable in the drawing of origin by typing on the command bar "LTSCALE" and pressing "ENTER"
Move to the destination drawing and repeat the operation described above. If the value of the variable in the destination drawing is different, change it by typing on the command bar the correct value. The hot key of zoom and pan. To use the CTRL key for the Zoom and Pan commands (progeCAD 2016 and newer versions), you need to enable Mouse Advanced Functions. - Update your printer driver from the printer manufacturer’s website. - If available, download and install an updated driver from the printer manufacturer’s website. - If progeCAD doesn't accept some settings available from your system driver, try setting them directly from the control panel. - System drivers provided with operating systems could be not fully compatible with your printer, so some options supported by your printer could be unavailable. If available, download and install an updated driver from the printer manufacturer’s website. Where is the print information stored? Printing line thickness. The line thickness is not correct in Print Preview. -- Make sure that the "Print Lineweights" option is selected in the "Print" dialog. -- Make sure that in the Ctb file the right thickness is also configured in relation to colours. -- Make sure that in the Stb file the right thickness is also configured in relation to the styles. Like all the print, it depends solely on the printing device installed. You'll see the printing device driver interface that allows to create the custom size (if provided by the manufacturer). For additional information on creating customized formats by this device, consult the manufacturer's manual. -- In the list of printers select "progeCAD PDF Printer"
-- Using the button "Properties" configure the print parameters as a Custom printer, if necessary. For progeCAD 2017 or older versions. -- Specify the path and the name with extension for your output file and confirm. -- From the View menu choose "Render > Open render"
How do I know the version of the installed product? Where can I find the latest update for my progeCAD version? In the support area you can find all available updates downloads which will allow you to update your progeCAD to the latest version. Where can I find help for a progeCAD Trial version? Please visit progeCAD Support Center. Choose the product you are looking for on the Products page of the ProgeSOFT website. How to register an NLM server? 01. From Start menu —> All Programs choose progeCAD 2XXX NLM section, then Register NLM license. 02. Specify all the requested information (the serial number is in the e-mail you received from progeCAD), then press Next. 03. Select I don’t have an Authorization code. 05. By choosing an e-mail or Fax registration method, the registration form will appear. Fill it in with the required information, the fields in bold are mandatory. Press Next. 06. Proceed with the registration following the instructions of the Wizard to send a FAX or e-mail. 07. Once you have received the Authorization code, follow these steps: From Start menu —> All Programs choose progeCAD 2XXX NLM section, then Register NLM license. 08. Copy and insert the authorization code which you've received in the specified field, then press Continue. How to register a client NLM? 01. Install progeCAD 2XXX Professional on a client PC. From the menu Start —> All Prgrams choose progeCAD 2XXX section > Register progeCAD 2XXX. 02. Specify all the requested information (the serial number is in the e-mail sent by ProgeSOFT), then press Next. 03. progeCAD displays the default connection server data. Leave the default settings. (You can check your server IP by inserting your server name and pressing the “Check DNS” button). How to change the communication port? To modify the communication port used by Network License Server (usually not required), edit (using a simple text editor such as Notepad) pserver.ini that you can find in the installation folder (usually c:\program files\progesoft\netprot). If you cannot find an answer to your question, submit a Ticket through ProgeSOFT Support Center on the Support page of our website. IntelliCAD is a product developed by the ITC Consortium which comprises different companies from around the world. This guarantees the necessary support in case of any problems which may occur handling such a vast software project. Every company participating as a trading member in the ITC Consortium can distribute products based on IntelliCAD technology. This kind of co-operation guarantees the basic functionality and compatibility. To the basic characteristics of IntelliCAD, progeCAD adds a great many of improvements and additional functions which make progeCAD the best IntelliCAD version currently distributed on the market. progeCAD is a CAD program which costs a fraction of the cost of rival products; how can its characteristics compare? I need to use software applications that add specific features to a generic CAD. Are there applications for progeCAD®? Thanks to the powerful API programming supported by progeCAD®, one can easily develop simple routines or complete and complex applications for the progeCAD® software. 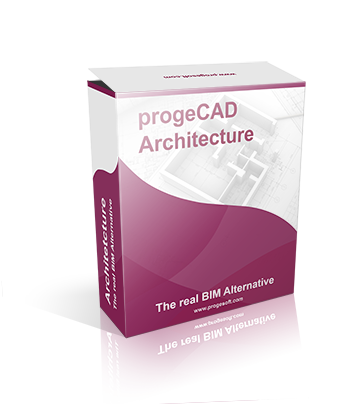 You can find third-party applications which work with progeCAD® on the market. You can find some of them on our website Plugins page. Through high compatibility of the programming interfaces of progeCAD® and AutoCAD®, it is possible to adapt existing applications to run on the progeCAD® platform. Cleverbrige, the leading online sales provider, accepts the following payment methods: Visa, Mastercard, American Express, JCB, Paypal, Wire Transfer. You can safely enter your entire Credit Card number on the Cleverbdrige secure server which encrypts all submitted information. If you purchase downloadable products your credit card is charged as soon as your purchase transaction is complete. You receive your software product serial number almost immediately on purchase. Yes, you can. The progeCAD online shop accepts Credit Card and Wire Transfer payment methods. If I order more than one license, does progeCAD offer a discount plan? The discount is automatically applied to the order for the same type of product. Note: These discounts are not applied to the Indian version of the product. If you cannot find an answer to your question, submit your question through our Contact form. Corporate One Site license allows the unlimited installation of software copies in the premises of a business (a building or a group of buildings situated in the same location) with the exception of laptops belonging to the organization on which the software can be installed and used by employees even out of the corporate office. Corporate Country license allows the unlimited installation of software copies in an organization with multiple premises situated within the same country. How to deploy Corporate solutions? The progeCAD Professional software is installed and activated on every single PC, so a Server is not required for licensing management. The activation of progeCAD can be carried out either on each single PC after the software installation, as in the case of Single Licenses, or by using a specific tool for the network automated installation which allows to activate and install the license during the installation process. Once all progeCAD Professional software copies are activated making use of the tool, the computers with progeCAD will be operable even not connected to the network. The tool for automated activation with the instructions is provided on the corporate license purchase.